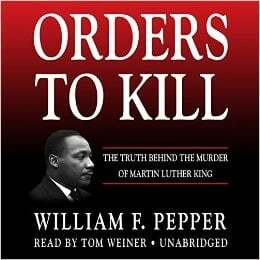 Very few Americans are aware of the truth behind the assassination of Dr. Martin Luther King, Jr. Few books have been written about it, unlike other significant assassinations, especially JFK’s. 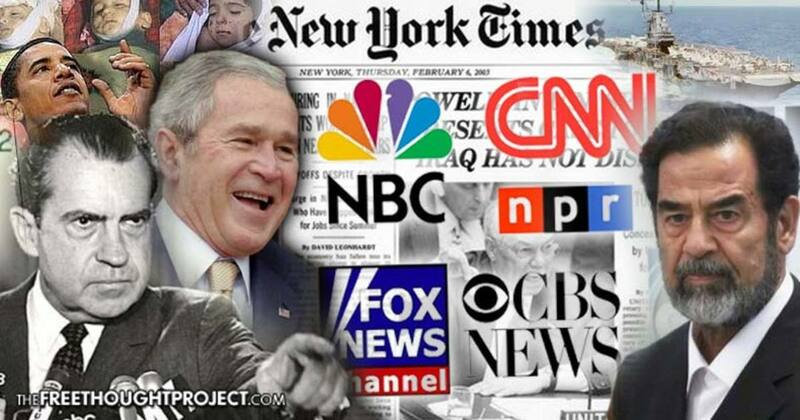 For almost fifty years there has been a media blackout supported by government deception to hide the truth. And few people, in a massive act of self-deception, have chosen to question the absurd official explanation, choosing, rather, to embrace a mythic fabrication intended to sugarcoat the bitter fruit that has resulted from the murder of the one man capable of leading a mass movement for revolutionary change in the United States. Today we are eating the fruit of our denial. Is the partner of my partner, my partner? Corps won’t forcibly remove protesters from federal land! ‘federal land’??? This is tribal land by treaty!!! Where do they get this ‘federal’ thingy?? Ask yourself, if a privately-owned bar legal system has the power to change the meaning of words, how does one stop it? The U.S. Army Corps of Engineers says it has “no plans for forcible removal” of protesters who have been camping in North Dakota to protest the Dakota Access oil pipeline. The agency says those who choose to stay do so at their own risk. The Corps says anyone on the property north of the Cannonball River after that date will be trespassing and subject to prosecution. The land to be closed includes the main protest camp, about 50 miles south of Bismarck. The situation in North Dakota at the site of the Dakota Access Pipeline has degenerated into what can now only fairly be described as a war zone. The escalating assaults on unarmed protesters by heavily armed, fully militarized police units have transformed the Dakota Access Pipeline construction site into a battlefield. Scores of people have been injured and medics are struggling to evacuate the injured to area medical facilities for treatment. The scene is one of constant clashes and assaults by North Dakota military police attempting to drive Native American protesters away from the pipeline construction site. Billionaire Richard Branson has pledged to help fund a campaign to block Britain’s departure from the European Union, The Independent newspaper reported on Monday, citing a memo by Alan Milburn, a cabinet minister in Tony Blair’s Labour government. The campaign will seek a second referendum on the terms of Britain’s divorce from the EU and to build support for remaining in the bloc, the paper said. A million pounds ($1.25 million) of funding has already been pledged to the campaign, which claims the support of former cabinet ministers from the Labour, Conservative and Liberal Democrat Parties, the paper said. Virgin Group is to help bankroll a campaign set up in secret by Blairite former ministers and advisers to derail Brexit, The Independent can reveal. “Regime Change”? South Africa Targeted by Western Destabilization Efforts? South African President Jacob Zuma has come out publically to state that there are efforts underway by the West to undermine the African National Congress (ANC) government which has held power for over 22 years. A myriad of challenges are facing the South African ruling party including an economic recession, the bringing of several allegations about corruption within the office of the presidency, a declining stock market and national currency along with increasingly worsening relations with the United States. In this war of the rising and fading elites, there is no common ground or incentive to compromise. Historian Michael Grant identified profound political disunity in the ruling elite as a key cause of the dissolution of the Roman Empire. Grant described this dynamic in his excellent account The Fall of the Roman Empire. The Gulfs Between the Classes: a.k.a. 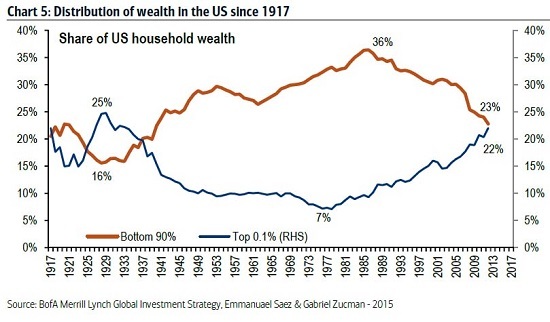 soaring income/wealth inequality: check. The Holy Bible, King James Version 1611 as a lawful defence against unlawful court actions; and, in cases of evictions, foreclosures, repossessions, unlawful detention; etc. On November 19, Malaysians came together under BERSIH5 and rallied yet again asking PM Najib to step down. For those in the know know that the so called Malaysian govern-ment is a fake setup, a corporation disguised. Malaysia is ruled and owned by the bank$ter$ and the Najib government is nothing but the flag-bearers of the cabal and bank$ter$. The federal constitution is worth the paper its printed on and was written by the Reid’s Commission, by the colonial Brits. Mind you even the UK has no written or a printed constitution. They insist they have – an unwritten one! Doesn’t that sound crappy eh? Please read Introduction and Part 1A before this chapter. Putin instructed Russia’s Foreign Ministry to send a relevant notification to the UN secretary-general. “The International Criminal Court has not justified hopes placed upon it and did not become a truly independent and authoritative judicial body,” a statement published on Russia’s Foreign Ministry’s website said. “Russia consistently advocates that people guilty of grave offences must be held accountable, the document points out. Russia was at the origins of creation of Nuremberg and Tokyo tribunals, took part in developing of the basic laws against such grave international crimes as genocide, crimes against humanity and war crimes. This is the reason why Russia voted in favor of adopting Rome Statute of the International Criminal Court on September 13, 2000,” the statement pointed out. 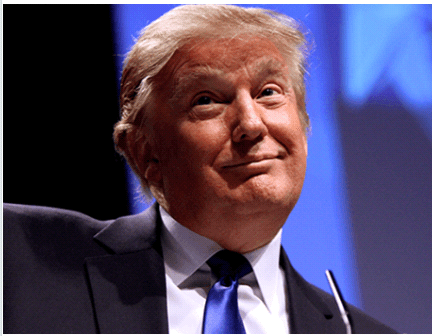 November 2016 – GEOPOLITICS– When you first encounter the word “populism,” you might think it’s a close cousin of democracy, with all the positive connotations that go along with it. And for some, it may well seem a purer form of a process by which politicians harness the will of the majority. But that’s only part of the picture. Populism—ostensibly a belief in the rights, wisdom, or virtues of the common people—often requires a bogeyman, be it an existing government, the supposed cultural elite, the media, or a particular ethnic, racial, or religious group. The big question: what authority does the law-of-the-sea have on the land? What authority has the federal government on sovereign land? when it’s jurisdiction is only over the sea?